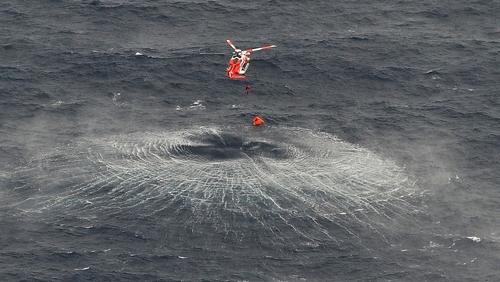 A man has died after the fishing boat he was on sank off the north Mayo coast this afternoon. The 57-year-old was from the Erris area of north Mayo. Two other crew members who were rescued from the Aisling Patrick are understood to be recovering from the ordeal in hospital in Sligo. Both of the other crew members are in their 20s and also from the north Mayo area. The three men were fishing for crab on the catamaran when it began to sink in waters 16 nautical miles northwest off Eagle Island. All three were airlifted from the raft and taken to hospital but one of the fishermen later died. The two surviving fishermen are said to believed to be showing signs of hypothermia, but both are understood to be in a relatively good condition. An investigation into the circumstances leading to the incident will be carried out by the Marine Casualty Investigation Board.